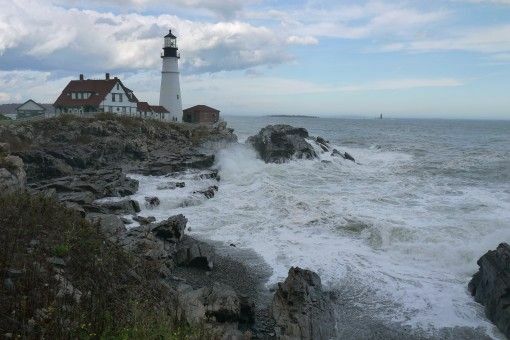 September brings back memories of the epic, eight-week road trip we took through New England this time last year. Although I’m currently happy here in sunny Chiang Mai, my thoughts periodically transport me back to that world of autumn leaves, scenic drives, Halloween pumpkins and forest walks. I have vivid memories of salty air, jagged cliff-tops, harbours and seaside towns as well as the taste of blueberry pancakes, apple cider and clam chowder. 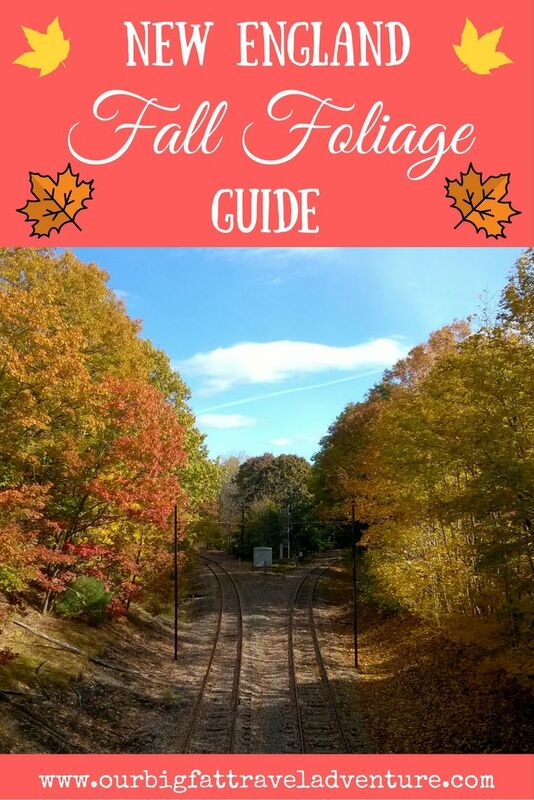 This reminiscing has inspired me to finally write a New England Fall foliage guide which includes our trip highlights, tips on where and when to see the best fall foliage, which festivals to visit and what to eat. Check out all of our USA blog posts and videos here. 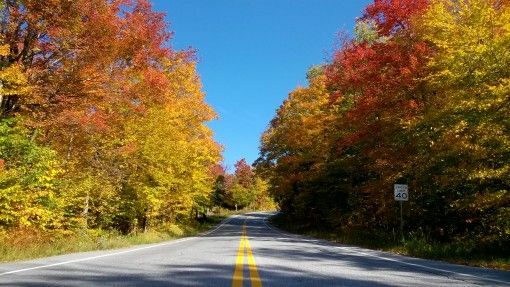 Maine, New Hampshire and Vermont – peak foliage arrives during last week of September and first couple of weeks of October. Massachusetts, Rhode Island, and Connecticut – peak foliage hits during the second and third weeks of October. We used this New England fall foliage map to plan our 2015 trip and came up with an itinerary based on those results. 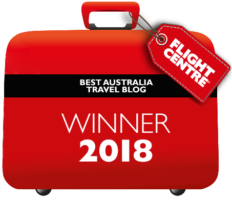 We also had to calculate where we could find the cheapest accommodation; B&Bs were all very expensive so we booked everything through Airbnb, which saved us a lot of money. 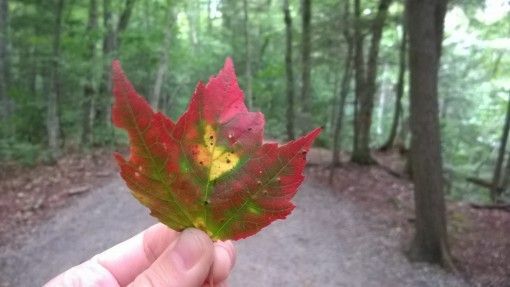 The weather was unseasonably warm and dry in 2015 which delayed the fall leaves. This meant that the scenery was lush and green with some hints of orange until we reached Vermont in the first two weeks of October, where we drove through huge stretches of gold, yellow and red forest. The scenery was particularly golden when we visited Stowe in mid-October and continued as we ventured down the coast of Maine through to as late as Halloween. We even had a final burst of colour back in Massachusetts at the beginning of November, especially on Cape Cod. 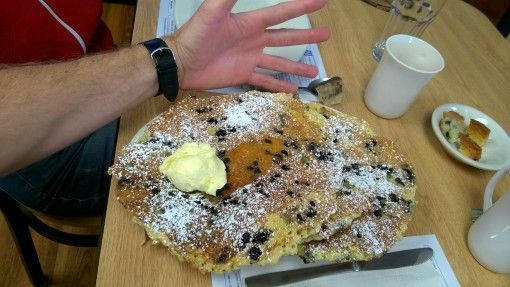 Maine blueberry pancakes – I lost count of how many of these thick, fluffy, fruity breakfast treats we ate. The portions were usually huge and kept us going for hours. 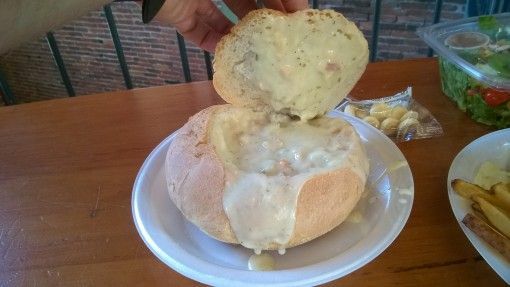 New England clam chowder – this thick, creamy chowder often comes in a bread bowl and is accompanied with little bags of crackers. We often had chowder as a cheap, warming lunch or evening meal. Homemade maple syrup – we visited Sugarbush farm in Vermont to learn about how they make their own maple syrup. There are various grades of syrup to try and it’s essential to slather as much as possible onto your pancakes. 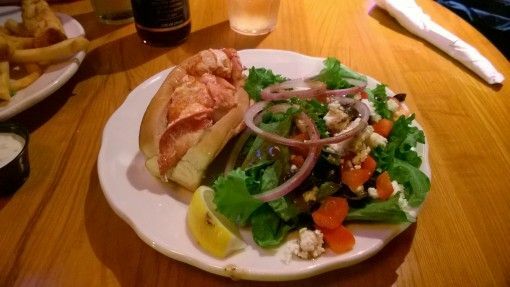 Fresh lobster rolls – a well-known New England dish. We had this in Maine, where it was served cold in a bread roll with dressing. Vermont Cabot cheese – the Cabot Creamery is a co-op that has been producing tasty cheddars in varying strengths for over 95 years. 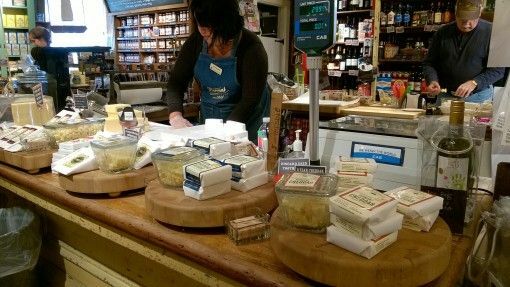 You can visit the creamery itself or pick up a block of Cabot cheese in many stores across Vermont. Apple cider – you’ll see hot homemade apple cider on menus across New England in the fall. Although we were surprised to find that in America cider is generally non-alcoholic, we loved guzzling this autumn treat at every opportunity. Pumpkin pies, cakes and soups – pumpkins are everywhere during fall in New England; they decorate porches, fill farm stores and are cooked into sweet and savoury dishes, from soups and pies to cakes and muffins. 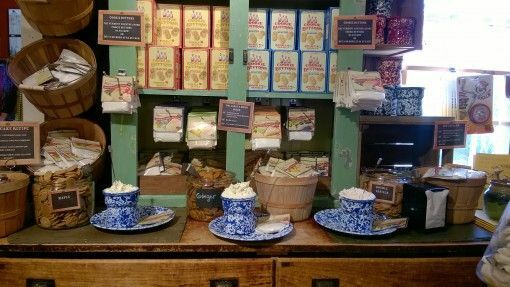 The Vermont Country Store – while you’re in Vermont you have to visit the Vermont Country Store; it’s filled with locally-produced food, drink, clothing and crafts. The best part is all the free tasters; biscuits, cheese, cake, fudge, crackers – we skipped lunch a few times by just gorging on tasters! The Providence WaterFire festival, Rhode Island – an arts festival where over 80 bonfires are lit on the river running through the city; there’s music, food, stalls and boat trips. 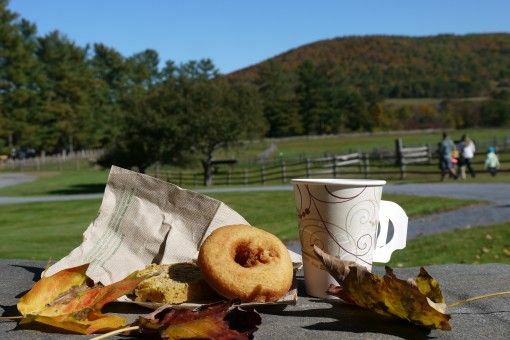 Fall Festival at Billings Farm and Museum, Vermont – we spent a day exploring the farm, joining in with a husking bee, watching cows being milked and apple cider pressed. Ghostport Festival in Bucksport, Maine – we enjoyed a weekend of costume parades, coffin races, film screenings, trunk-or-treating and pumpkin carving. Fright at the Fort, Maine – we spent an evening at Fort Knox getting scared out of our skins! Volunteers dressed in scary costumes hid and lurked around the Fort, waiting to jump out at us as we walked through. SK Tour of Bangor, Maine – I’m a huge Stephen King fan so I had to visit his home-town of Bangor. We took an excellent tour with Stu, a friend of King’s who shared many fascinating anecdotes with us and took us to locations from his books. Salem Haunted Happenings, Massachusetts – during Halloween Salem, site of the infamous witch trials in the 1600s goes crazy; everyone dons costumes and travellers come from far and wide to experience the carnivals, psychic fairs and walking tours. Jack-O-Lantern Spectacular, Rhode Island – we were too far away to get to this festival but I really wanted to. Over 5,000 illuminated Jack-O-Lanterns decorate Roger Williams Park Zoo, carved in elaborate, quirky designs. 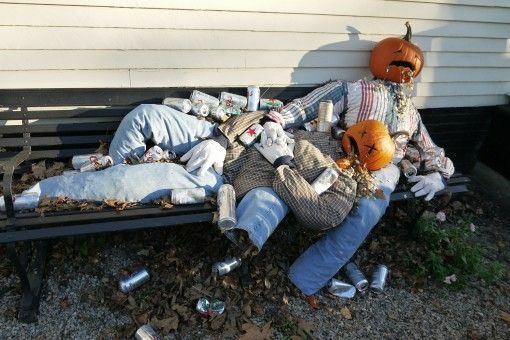 Read more about our quirky Halloween adventures in New England here. Wolfeboro – this tiny town lies on the banks of the largest lake in the state, Winnipesaukee, and is surrounded by hills and forests. We loved the independent book and candy stores and ice-cream parlours. 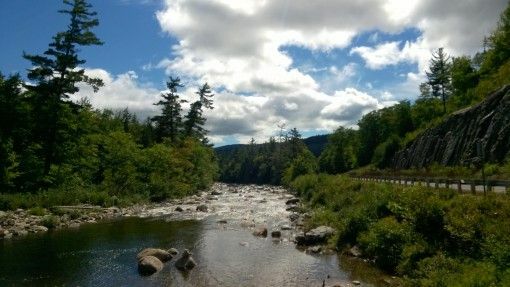 White Mountains – we drove along the famous Kancamagus highway, a scenic loop through the area which is part of the Appalachian mountain range. Passing by covered bridges and through small ski towns like Lincoln and Woodstock, we ended up driving to the summit of Mount Washington, which at 6,289 feet is the highest peak in Northwest America. 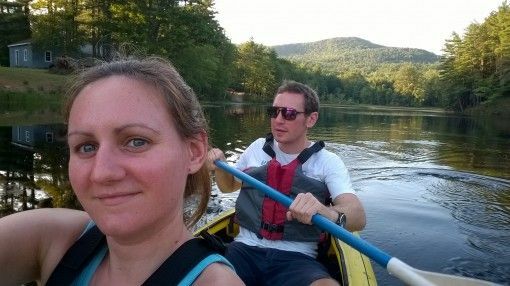 You can read more about our adventures in New Hampshire in this blog post. Yale University – we took a free, student-led tour of historic Yale while staying in New Haven. It was fascinating to stroll around the grassy quad, venture inside the Sterling Library and learn about the underground rooms and tunnels which lie beneath the campus. 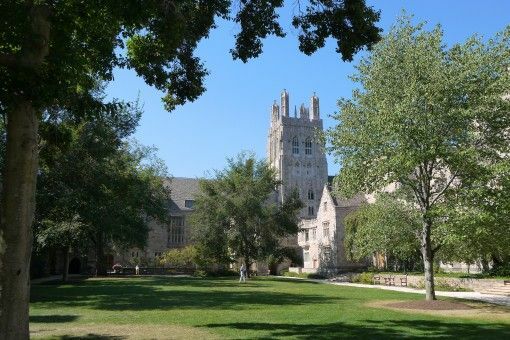 Did you know that the yearly fees at Yale are $63,000 (£47,400)? Mystic – the traditional New England town is famous for its boating and whaling history, as well as the film Mystic Pizza, starring Julia Roberts, which was filmed there. You can visit the historical mystic seaport, stroll by the river and cross over the drawbridge to the downtown area for dinner. Read more about our time in magical Mystic and historic Yale here. While we were staying in Connecticut we also visited the Mark Twain House in Hartford, you can read about our visit in this post: “Explore. Dream. Discover.” Thoughts on travel and visiting the Mark Twain house. 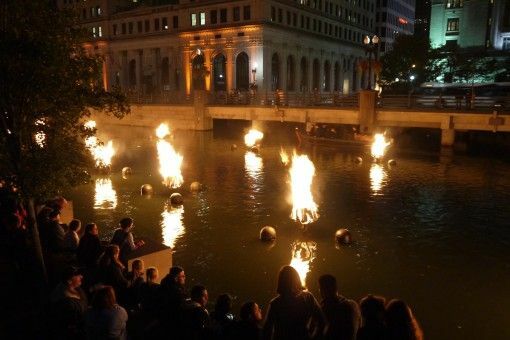 The Providence WaterFire Festival – we stumbled upon this festival by accident but it was the highlight of our time in the state. 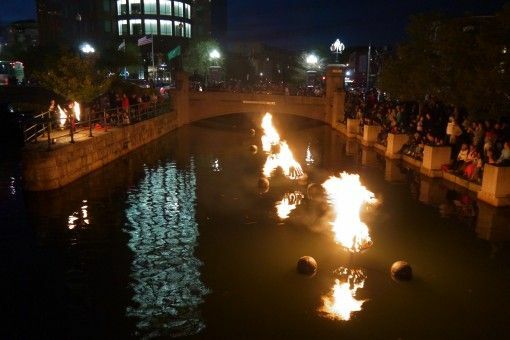 During the festival over 80 bonfires are lit on the water running through Providence, accompanied by dramatic music. There are fire dancers and street stalls, food and hot apple cider. At the end of the night we sailed down the river on a boat trip, watching the reflections of flames flicker on the water’s surface. Boston – was the most bustling stop on our New England road trip. 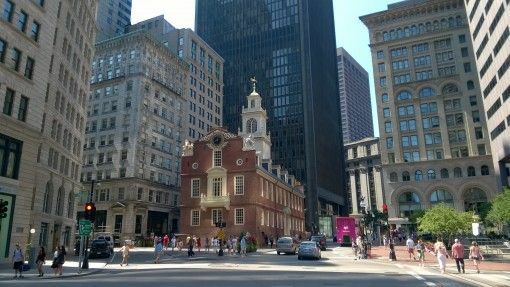 We crammed in as much history as possible, walking the Freedom Trail, visiting the State House and Boston Tea Party Museum and taking a ranger-led Black Heritage walking tour. 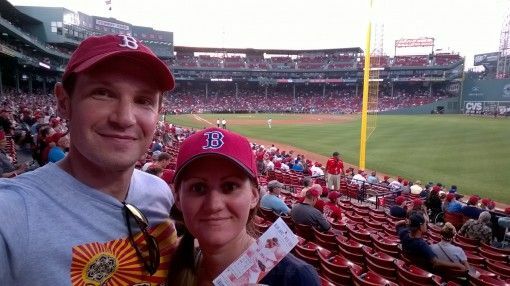 We went to a Red Sox baseball game, ate chowder from Quincy market, toured Harvard University and watched the Labor Day fireworks explode over the harbor. 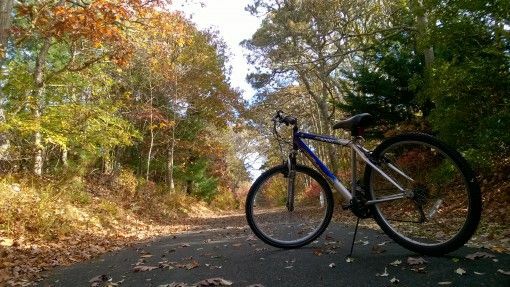 Cape Cod – when we visited Cape Cod in November many of the restaurants and cafes were shut down for the season. However, we still enjoyed wandering the deserted, windy beaches and cycling along the bike path, which was once an old railway line. 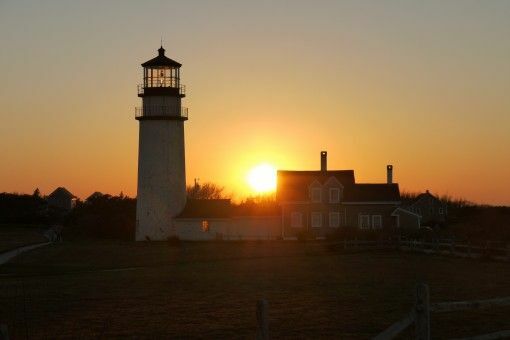 We drove up Route 6, stopping to photograph lighthouses and explore the gay capital, Provincetown, at the tip of the Cape. 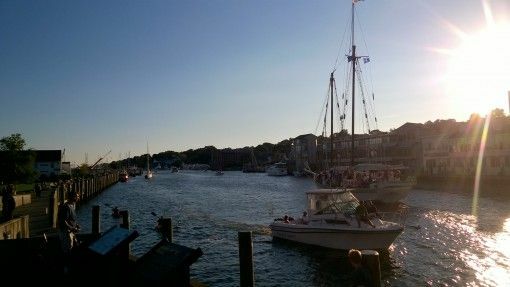 We also took a day trip to the beautiful island of Martha’s Vineyard in Massachusetts, which you can read more about here. 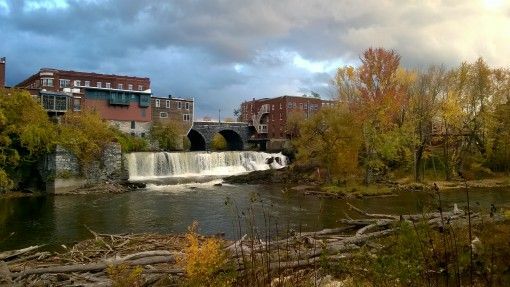 Bellows Falls – we used this small, industrial town in the south of Vermont as a base for exploring nearby country towns like Grafton and scenic highways lined with golden trees. We stayed with a lovely host in Bellows Falls in a quirky home with no locks on the doors. 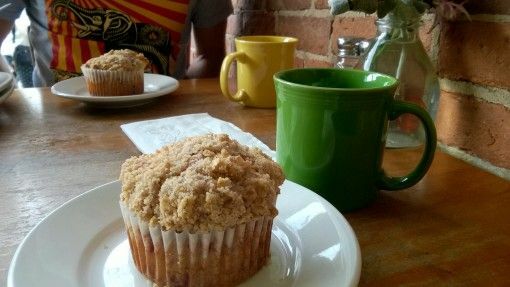 We sat in the town café and went apple picking on a nearby farm, baking our Mcintosh bounty into a delicious pie. 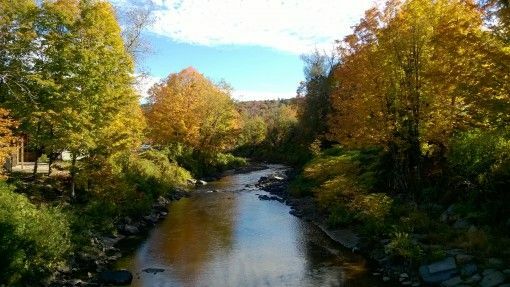 Stowe – this small skiing and hiking town in the north of Vermont is one of the most picturesque places we visited in New England. 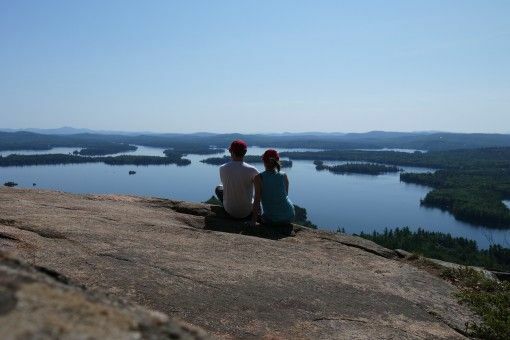 The town sits at the foot of Mount Mansfield and is surrounded by acres of forest and hiking trails. 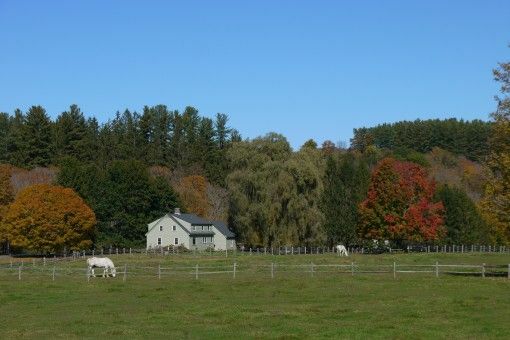 Nearby you’ll find the original Ben and Jerry’s Ice Cream Factory and Cold Hollow Cider Mill. 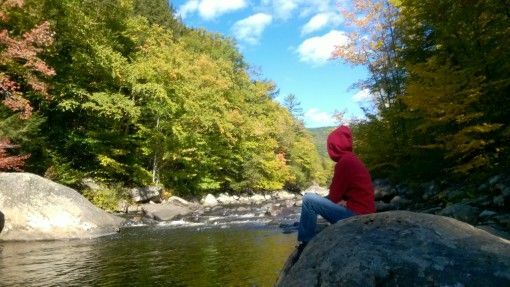 You can read more about our adventures in Vermont, my favourite New England state, in these posts: Finding Fall in Vermont and A Taste of Vermont. 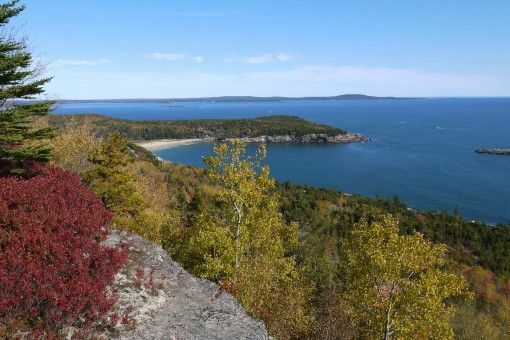 Bar Harbor and Acadia National Park – some of our happiest times in Maine were the days we spent trekking in Acadia, the most beautiful national park I’ve ever been to. 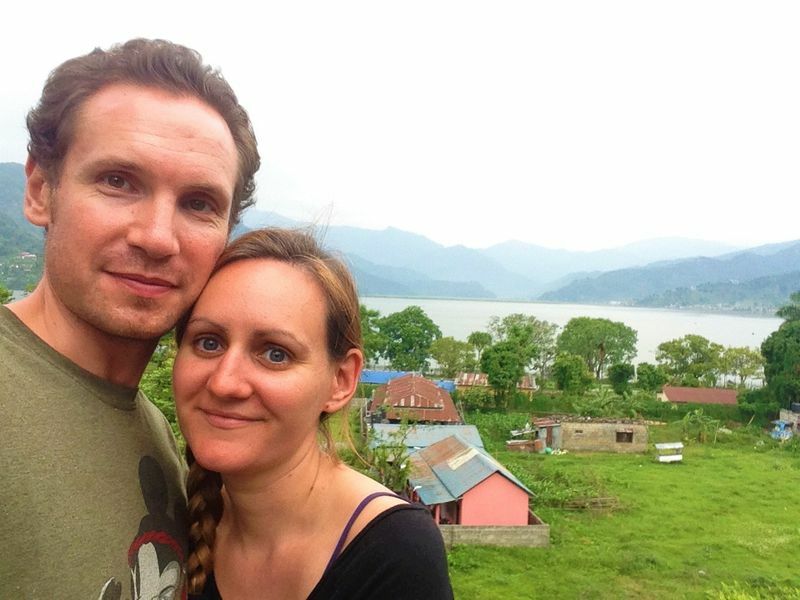 We hiked up mountains and through forests, rewarded with some views of vast fresh-water lakes and the island-spotted sea. 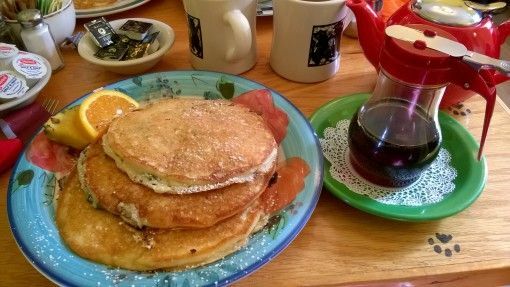 We spent a lot of our time in Bar Harbor, a town in the heart of Acadia, mostly eating plates of delicious Maine blueberry pancakes. Portland – we spent Halloween in Portland, watching a costume parade and wandering the streets looking at the decorations and hordes of trick-or-treaters. Portland is a seaside town with cobbled streets and a quirky vibe, full of amazing eateries and breweries. We loved walking the eastern promenade trail and exploring the many lighthouses in South Portland. We took a ghost tour and sailed around Casco Bay on one of the daily mail boats. You can read more about our Maine highlights, including visits to Belfast and Camden here. You can see a detailed breakdown of what we spent on our entire three-month USA trip here. This included visits to Niagara Falls, New York City, Philadelphia and Washington DC as well New England. We’ve broken down how much it cost us to travel just in New England for nearly 10 weeks (68 days). We took this trip in September, October and November 2015. Our fall road trip in New England is firmly etched in my heart. I can’t think of many periods of my life where I’ve been as happy as I was driving along forested, golden-leafed roads, with country music on the radio. I am always scheming about how and when we can return. In an ideal life I’d spend every October in Vermont and Maine, getting my perfect fix of fall. 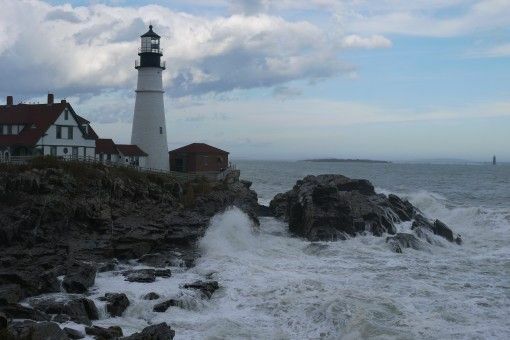 Have you been to New England, would you love to go? Thanks Donna, I am always dreaming of returning to NE, hope you make it there soon.